Last Updated: March 26, 2017 By Katie 3 Comments -- Paid Promotion. Disclosure policy here. 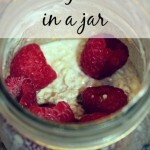 I’ve shared my favorite overnight oats in a jar recipe before, but I thought it was about time I update it a bit! SO. 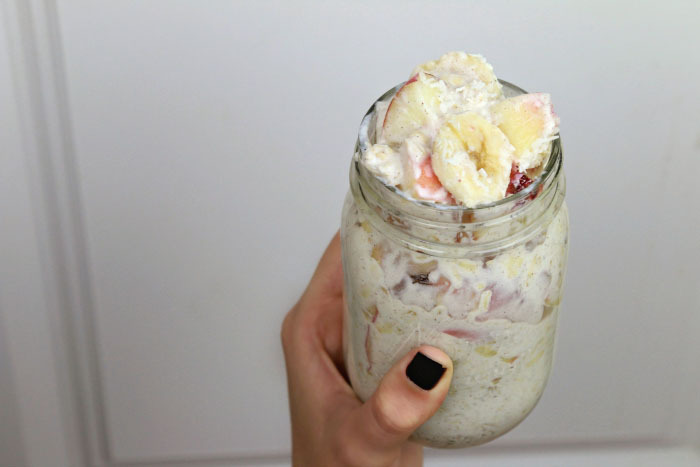 I bring to you, my coconut overnight oats in a jar! Because everything- literally everything, do not argue with me on this one- is better with coconut. 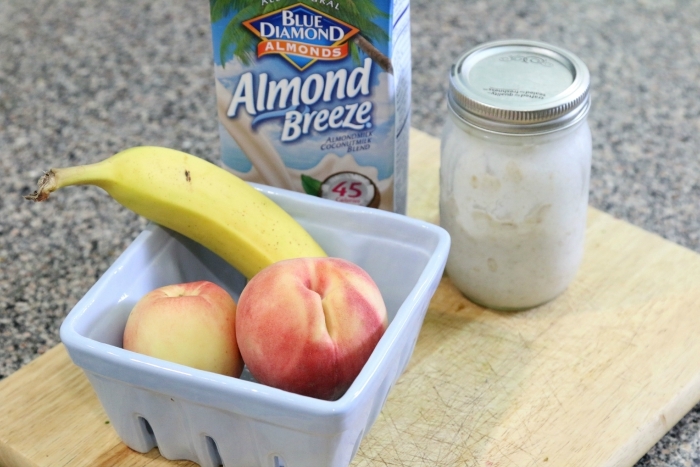 Dump it all (minus the toppings) in a mason jar, screw on lid, shake well and place in fridge overnight (or for a few hours). 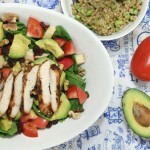 When you’re ready to eat, add your toppings and bon appétit! This is literally one of my favorite breakfasts, mostly because when I’m hangry in the morning and also my lovely pre-coffee self, I don’t have to think, like, at all. ;) Makes for a much smoother and more pleasant morning. What’s your favorite go-to breakfast? This looks so yummy! Overnight oats have become my new favorite thing to make! 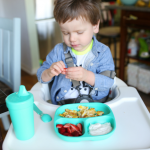 I loooove putting raspberries and blueberries in mine overnight – so delicious! 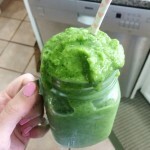 This sounds like a great make ahead for the mornings! My husband has been sleeping in lately and normally has to run out the door with just a banana and granola bar to eat at work for breakfast. 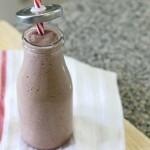 I could make these with various different toppings through out the week and this just might hold him over till lunch! Thanks for sharing, I hope you have an amazing weekend!